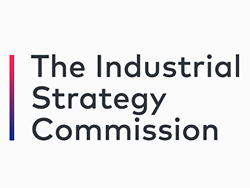 The Industrial Strategy Commission, which will be led jointly by the Sheffield Political Economy Research Institute (SPERI) and policy@manchester, is an authoritative inquiry into the development of a new, long-term industrial strategy for the UK. Dr Craig Berry, Deputy Director of SPERI, and Professor Richard Jones, SPERI Associate Fellow and Professor of Physics and former Pro-Vice-Chancellor for Research and Innovation, are members of the Commission team. Find out more about the Commissioners. The Commission, chaired by leading British economist Dame Kate Barker, will be formally launched on Monday 6th March at the Royal Society in London between 6.00-7.30pm. Full details of the launch and how to attend will be announced soon. The Commission will provide evidence-based policy recommendations for the development of a new industrial strategy. An open call for evidence has been announced. It will engage with leading experts, businesses and organisations from a range of sectors and industries – and will cover key themes, including new technology, science and innovation, the geography of growth, infrastructure and the challenges and opportunities of climate change and energy transitions. It will publish its Key Findings in July 2017 with a final report published in September 2017. “We welcome the emerging consensus on industrial strategy, and the Government’s new green paper, but significant questions remain. What are the strengths and weaknesses of the UK economy, and future challenges and opportunities that an industrial strategy should address? What is the right relationship between the state, business and other bodies including universities? And what lessons from past UK experience and international comparisons should be learnt? Open call for evidence published – Thursday 2nd February. Full details here. Launch event – The Commission will be formally launched on Monday 6th March at the Royal Society in London between 6.00-7.30pm. Full details of the launch and how to attend will be available soon. Evidence submission deadline – Tuesday 2nd May. Key Findings report – to be published in July. Final report – to be published in September. Tom Hunt, Policy Research Officer at the Sheffield Political Economy Research Institute (SPERI) will manage the Industrial Strategy Commission’s work. Contact Tom at tom.hunt@sheffield.ac.uk.